Search The Parenting Dyslexia Blog. Home Equality Act 2010 school SEND Ways to successfully negotiate support for dyslexia at school. Ways to successfully negotiate support for dyslexia at school. 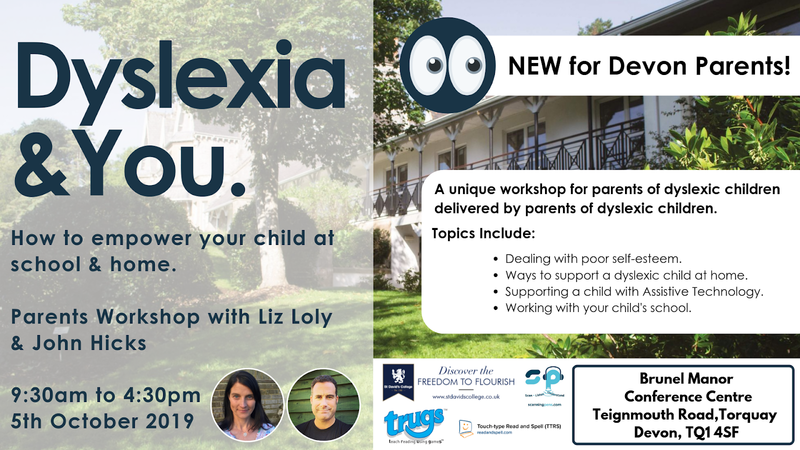 I have recently had many discussions with parents of dyslexic children who are frustrated at the progress they are making in obtaining the most appropriate learning support for their child at school. Every school works differently across the UK which in itself is a problem as there is no common expectation as to what exactly a school should do to support a dyslexic child. However, there is the UK Governments Equality Act 2010 which gives students rights to having support. This blog post will explore those rights and will give you some tips on how to get your school on board in providing that support. In 2010, the UK Government passed the Equality Act which had a section that referred to Special Educational Needs and Disabilities (SEND). In that act students with dyslexia or any other SEN condition were given rights to request support to help them with their studying. UK schools have to adhere to the law and if they don’t then you have grounds for complaint. Read on to find out more about what the Equality Act 2010 offers you in terms of rights. It’s against the law for a school or other education provider to treat disabled students unfavourably. • Direct discrimination, for example refusing admission to a student because of disability. • Indirect discrimination, for example only providing application forms in one format that may not be accessible. • Discrimination arising from a disability, for example a disabled pupil is prevented from going outside at break time because it takes too long to get there. • Harassment, for example a teacher shouts at a disabled student for not paying attention when the student’s disability stops them from easily concentrating. • Victimisation, for example suspending a disabled student because they’ve complained about harassment. An education provider has a duty to make ‘reasonable adjustments’ to make sure disabled students are not discriminated against. These changes could include providing extra support and aids (like specialist teachers or equipment). Schools are not subject to the reasonable adjustment duty to make alterations to physical features, like adding ramps. They must make the buildings accessible for their disabled pupils as part of their overall planning duties. All publicly funded pre-schools, nurseries, state schools and local authorities must try to identify and help assess children with special educational needs and disabilities (SEND). If a child has an an education, health and care (EHC) plan or a statement of special educational needs, these must be reviewed annually. From year 9 the child will get a full review to understand what support they will need to prepare them for adulthood. II. Be Assertive, Keep Calm & Carry On. The wellbeing of our children is probably the single most important concern for us as adults, as a result, this topic will bring out huge levels of emotions for us and this will affect how we interact with those at our child’s school or college. When trying to effect change at an educational institute such as a school or college, we will find that we are dealing with people who are overloaded with responsibility and have little funds to deliver on that responsibility. They are trying to do the best that they can in an educational system that is experiencing unprecedented cuts to funding and change. We need to be assertive, keep calm and even if we are unhappy with what we hear, carry on pushing the school in a polite and firm way until we get what our children need to succeed. Here are some tips that will be worth considering as you approach your school or college for support for your child. Being assertive is about being a leader. It is not about bullying someone until you get what you want, it is about being single minded in your direction and firmly pushing until change happens. Remembering how stressful the education system is for those that work in it, it is fair to say that if we have a lot on our plate with work, we won’t appreciate someone pushing us to change. We might be defensive and maybe a little passive aggressive and not budge. So we have to remember this when dealing with staff in schools. It is always better to lead people to change rather than force people to change. This sounds odd when we think of the schools scenario, but we have to get our schools on side in order to get that change in place to support our children otherwise we may find ourselves dealing with a stalemate that no one wants. Confrontation takes up energy and is more stressful, so if we can keep calm and hold fast to committing to getting the resources that we need then hopefully our discussions at school will be fruitful as much as possible. If we exhibit anger and make our interactions unpleasant then we are unlikely to get the result that we are looking for. B. Keep the discussion going. The aim of course is never to give up. We have a legal right to require our schools to deliver reasonable adjustments for our children that will help them to learn more effectively. If we are unhappy with what we are getting then we must keep the discussion going as calmly as possible, until we are satisfied. I am not saying that every school treated like this will yield vast resources and some may even stand firm in a resolute way and say no to further support, but if you have a diagnosis and recommended measures then it is hard for a school to say no to giving recommended support from a dyslexia assessor or educational psychologist. III. Understand what the school needs are and counteract their arguments with well thought out responses. I remember having a conversation with a head master of a secondary school once about providing coaching to young people. He asked me to show him how this will help the young people’s grades to be improved. I was speaking to the headmaster about the wellbeing of young people and I was surprised by how much it was all about grades for him. Ironically, I know that the head master cared deeply about his students but his objectives were to get good results from his students. So when we are dealing with school staff, we should not make assumptions about what their objectives are i.e what they are under pressure to achieve. If we can truly understand what is important to them and what they are tasked to deliver, then we need to frame our discussions in a way that enables them to see that not only does the child benefit in terms of support, the school also gets a greater probability of higher grades from their dyslexic students which will be a huge driver for success at any school. The following shows some reasons for schools to not give support and what I think of those reasons and what you could say in response. A. Your child is passing so doesn't need the support! This is a really common response from a school when a child is performing well enough to gain high enough marks to pass tests and exams but is not excelling despite them obviously being intelligent and knowledgable about their subjects. For your child you have noticed a disconnect between what they know and how they express it effectively but your child is still expected to pass grades. As your child is not failing the school will undoubtedly seek to put their resources into supporting a child that is failing as they only have so much budget for supporting students with dyslexia and they will seek to fund support for the most obvious need. This doesn’t take away the fact that your child could achieve so much more given a higher degree of support and to be fair they deserve the support just as much as anyone else. So how do we convince a school to fund that support? The reality is that parents who are very capable of articulating what is needed for their child are more likely to get support over those that are perhaps not so great at communicating. So the request for support must be based upon your child gaining an assessment report which articulates the educational needs of your child clearly. It should set out what measures should be put in place to help your child be more successful with their studies i.e. assistive technology (laptop and specialist software such as SprintPlus) , study skills support, extra time in exams. You should also be able to demonstrate what you as a parent are going to do to support your child outside of school hours as this will show your investment in supporting your child. This may be in the form of providing extra tuition. A school is more likely to provide support if they feel that there is equal effort taking place in supporting your child inside as well as outside of school hours. B. Your child is not engaged so it is costing the school money to manage your child's behaviour. Young students with extreme cases of dyslexia will struggle to engage at school. The reality is that they probably learn in a way that is different to that with which the school teaches. So in a class of 35 students, if most are engaging and a few are not then it may be that those few will get punished or excluded depending upon their behaviour. Unfortunately , most teachers are not effectively trained to understand or recognise signs of special educational needs and so it is extremely common for children with dyslexia to be treated as though they are naughty kids, as often a teacher is too busy managing a class to really get to know what the problem is. As parents, if our kids are excluded due to behaviour then this is devastating, and makes for emotionally charged conversations with the year manager or head of your child’s school. But we need to see things from the schools perspective first before we have any hope of getting the required support. If we do not acknowledge what the school is having to deal with and the disruption that is being caused then we will struggle to build a positive rapport with those that we are requesting help from. As parents we need to facilitate the testing of our children if we suspect dyslexia, and show the school that the behaviour is stemming from a difficulty with learning and not malicious intent to disrupt. Using the recommendations given by the assessor, we can then frame our conversations along the lines of ‘More help equals more engagement which equals less cost in managing negative behaviour and even if support means the same cost, it means a higher probability of better exam results which ultimately will be the school’s main objective upon which they are judged. C. The school has no budget at the moment. Before the Equality Act 2010 came into place, there were schools that would not give support for dyslexia simply because they did not have the funding to provide the support. It was difficult to challenge their stance. However, with the Equality Act 2010, you have rights and your child has rights. The school has to provide reasonable adjustments to support the learning of your child. The problem that you will have is that if you have an assessment diagnosis in place, but no recommendations have been made on what measures should be put in place then there are no guidelines for support. So without external recommendations, a school can do whatever they deem necessary to support your child and state that they are delivering on your rights. So it is essential that when your child has an assessment, that the assessor recommends what should be done to support your child when studying. This then gives you a firm case to present to your school as to what they should do. Every school is different and some schools are fantastic at providing support, but despite how good or bad a school is in supporting dyslexic students, if you have independent guidelines on what support is necessary then this will increase your chances for getting the most appropriate support in place. What are your thoughts? Please comment below. Subscribe to receive an invitation to our exclusive and private Parenting Dyslexia Facebook Group and receive all our latest resources. Valerie - Thank you so much for your comment and I am delighted that the post is useful. I saw that you have linked me onto your site and I really appreciate your support! Wonderful! Managing family life : Attention, Dyslexia and Siblings. BDA Webinar : How Does My Child's Dyslexia Affect Me? How did my daughter's dyslexia affect this parent? Find out more, click here. 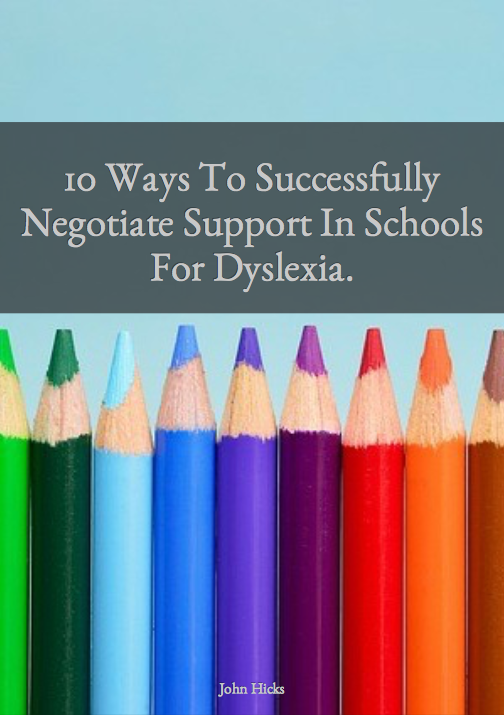 10 Ways To Successfully Negotiate Support For Dyslexia In Schools. Get Notifications For New Articles. Thanks for visiting The Parenting Dyslexia Blog. Thanks for visiting my blog. If you have any opinions about the content matter on this blog I would love to hear from you. Please comment or get in touch. How to motivate a child to study. How do our children perceive Dyslexia? Review of Dyslexia Is My Superpower, by Marg Rooke.